Indiana agriculture was reaching the end of its Golden Age when the Fair Board decided to build a new Hog Palace. This brick, steel, and tile building with concrete floors was extremely grand for its time, and it still serves its purpose well. Notice the hog’s head sculpture--a whimsical touch by the architects J. Edwin Kopf and Woolling. It is modeled in architectural terra-cotta, a glazed ceramic product that could be molded into almost any shape and was cheaper than stonework. Terra-cotta was a popular, new building material in the early 1900s, and the fairgrounds has several good examples. The style of this building is in the Arts and Crafts style. 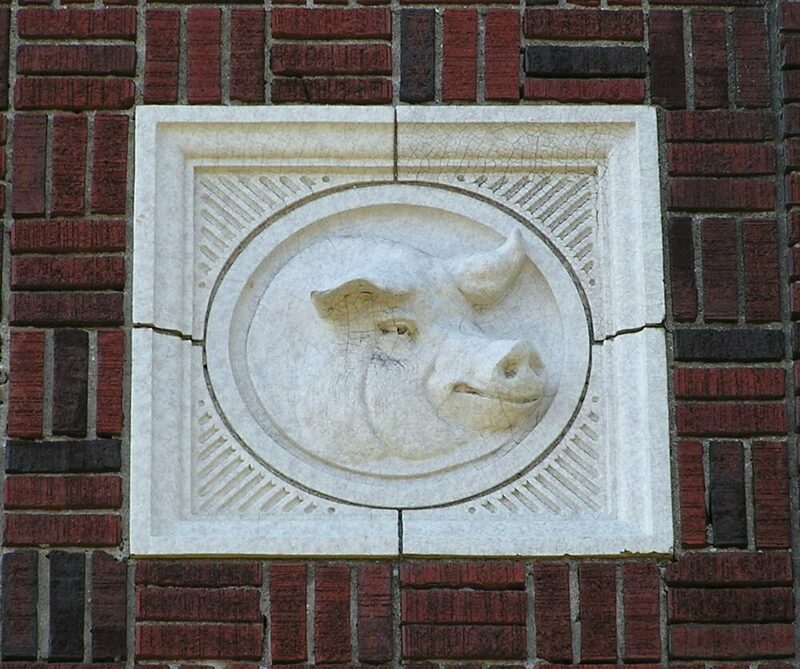 This modern style was more popular for houses than for civic or commercial buildings, but, the Swine Barn’s tapestry laid brick work and bands of colored tiles are typical examples of the style. Kopf, along with several different partners during the teens and twenties, designed many of the fairgrounds buildings. They were popular architects in town, designing commercial buildings and public schools. 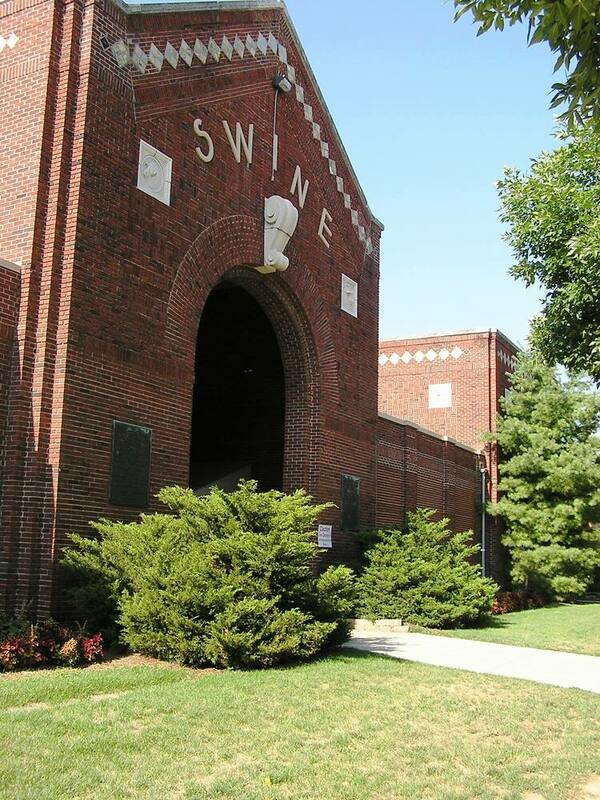 Indiana Division of Historic Preservation and Archaeology, “Swine Barn,” Discover Indiana, accessed April 25, 2019, https://publichistory.iupui.edu/items/show/295.